It is wonderful to see politicians advocating for recovery. Here is film of former Congressman Jim Ramstad, who has done so much recovery advocacy work, talking about recovery. This film is from ManyFaces1Voice and The Anonymous People. “I woke up in a jail cell in Sioux Falls, South Dakota on July 31st, 1981. It was the fifth month of my first term in the State Senate. I was mortified, I was humiliated, I was embarrassed beyond words, I wanted to be dead. I wanted to be dead. 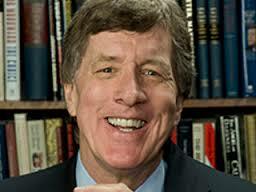 ‘Former Congressman Jim Ramstad (R-MN) is a passionate champion of people in or seeking recovery. Ramstad partnered with former Congressman Patrick Kennedy (D-RI) to found the bipartisan Congressional Addiction, Treatment and Recovery Caucus while serving in the House of Representatives. And why not check out Bill Moyers interviewing Jim Ramstad about his recovery.